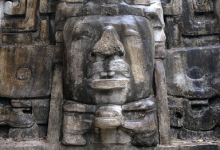 An amazing cruise to some of the ancient Mayan ruins in Mexico and Belize. Join Tom Pettit from Living Heritage Tours for an amazing Book of Mormon cruise to some of the ancient Mayan ruins in Mexico and Belize. These Mayan cities date back thousands of years and show evidence of the cultures, religious beliefs, and traditions which are also found in the Book of Mormon. We are going to tour the sites with the Book of Mormon in mind. The Book of Mormon will come alive in ways you never imagined. It will become so real to you that your desire to read and study the book will increase. While on board the ship, enjoy several lectures relating to the Book of Mormon. Return home with a renewed desire to make the Book of Mormon a centerpiece of your life. 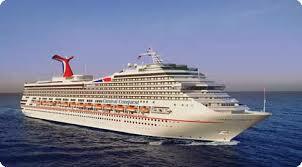 We depart from Miami, Florida aboard the Carnival Glory. This ship was completely renovated in 2017 is feels brand new. The ship leaves at 4:00pm, don’t be late! Click Here to read about this amazing ship and to see pictures. After dinner, we will meet for a fireside and a preview of our Book of Mormon Cruise and what we are going to be seeing and doing throughout the week. We will be at Sea all day today. The cruise ship is full of world class amenities and dining options for you to indulge yourself with. We have a conference room booked just for us! This morning we will be using the room to conduct a seminar relating to the Book of Mormon, Mesoamerica, and an introduction to the LDS perspective of the ancient ruins we will be visiting. Tonight we will hold a fireside. Our topic will be Finding Faith in the Book of Mormon. 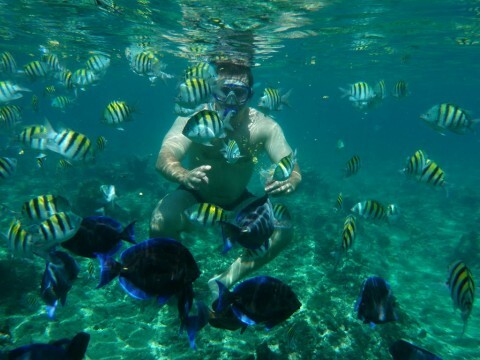 Grand Cayman offers some of the best snorkeling in the world! A beautiful catamaran sailboat will take us through the gorgeous turquoise water to our three snorkeling spots. We will snorkel above a barrier reef, a coral garden, and the famous Stingray City sandbar. Snorkeling gear, instructions, and life jackets are all included. The price of this excursion is $99 per person and includes transportation, snorkeling gear, and instruction from a guide. We offer two group tours to choose from while on the tropical island of Roatan. Option 1: Zip lining! Take a tour of the island while being escorted from the ship to your high flying adventure! Catch the picturesque views from high above the island while you zip over, under, and through the jungle! This tour includes a thrilling zipline, entrance to a monkey park, and time on the beach with your own reserved lounge chair and access to the beach resort amenities. This tour will meet our Option 2 tour at the beach where we will all have the rest of the day together. All ages welcome! This adventure is $99 per person. 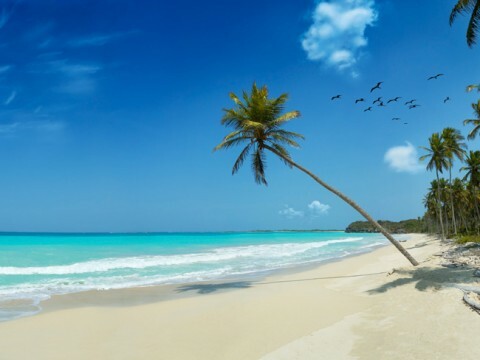 Option 2: Spend the day relaxing on one of the most beautiful beaches in all the Caribbean! Included with this option is a tour of the island while traveling from the ship to the shore, a welcome drink, access to the beach resort amenities, and a reserved lounge chair. Snorkeling gear is available for an additional cost, or bring your own! The price for this option is $49 per person. Once docked at Belize City , Belize we will start our amazing journey to the ruins of Lamanai. These ruins date back well over 2,000 years and clearly carry a unique Book of Mormon name. If you ever wanted to be Indiana Jones, now is your chance. To reach the ruins of Lamanai, you must travel on a spectacular boat ride up the New River through the jungles of Belize. You’ll be sure to spot tropical birds, monkeys, and perhaps a crocodile before arriving at this ancient city. We will visit the Jaguar Temple (which has a lot of LDS themed significance), and the High Temple where you will be able to climb 125 feet to the top and gain an unforgettable view of the whole Lamanai ruins, New River Lagoon, and the vast Lamanai Archaeology Reserve. The small onsite museum where our Lamanai exploration begins is home to artifacts spanning well over 2,000 years of Mayan History. We will also relax and enjoy an amazing Belizean lunch which is included. This excursion is purchased in addition to the cruise fare. The excursion price is per person and includes transportation, lunch, entrance fees, and a personal tour guide providing the LDS perspective of this ancient city. The price for the tour of Lamani is $115 per person which includes all transportation, entrance fees, personal tour guide, and lunch. Our cruise ship will dock in beautiful Cozumel, Mexico . We will spend our time with a local LDS tour guide visiting the picturesque ancient city of Tulum. This is a great spot for Book of Mormon enthusiasts! The city of Tulum is covered in depictions of the Mayan religious beliefs that correlate with the religious beliefs taught in the Book of Mormon. 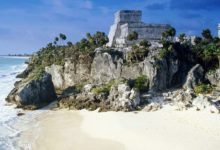 Tulum is home to the Temple of the Descending God. We will spend our time learning about Tulum by reading our scriptures! This excursion is purchased in addition to the cruise fare. The excursion price is per person and includes air conditioned transportation, lunch, entrance fees, and personal tour guides. Contact us and make sure you don’t miss this trip to Tulum! The price for the tour of Tulum is $110 per person which includes all transportation, entrance fees, personal tour guide, and lunch. We will be at Sea all day traveling back toward the United States. There will be plenty of time to enjoy all that the ship has to offer, including plenty of time to relax before returning home to Winter. We have a conference room booked just for us this day! We will be using the room again to conduct more seminars relating to the Book of Mormon. We will recount the coming forth of the Book of Mormon as told through Church History stories. Most importantly, we will focus on how the things we have learned and seen this week can help the Book of Mormon become more personal and real to our everyday lives. Prices are per person and based on double occupancy. 3rd and 4th passengers cruise at reduced rates. Prices are determined by the cruise line and can change without notice. Prices include all taxes and fees. Register for your Book of Mormon Adventure today! Join Tom Pettit on this exciting Book of Mormon adventure. Tom is the owner and founder of Living Heritage Tours and leads Church History tours and tours of the Mayan ruins of Mexico and Belize. Tom’s unique focus is not to just teach history, but to help you draw closer to the Savior by applying the lessons learned from the events of the Book of Mormon to your own daily life. His love of the gospel, his passion for history, and his unique way of teaching has attracted people anxious to visit the sacred sites of the Restoration as well as the ruins in Mesoamerica. Don’t miss out on this great opportunity to travel and learn from Tom. Tom served his mission in Australia. He and his wife Lesa have five children and live in Lehi, UT. To learn more about Tom Pettit, please visit his Blog page and take a look at our Video page. First Payment: $400 per person is required to secure your cabin and your shore excursions. This $400 is part of your overall cost. You will receive an invoice for the remaining balance of the cruise and for your selected shore excursions. Terms and Conditions: All rates are per person based on double occupancy. 3rd and 4th persons in same cabin travel at greatly reduced rates. Additional Charges: Advertised rates do not include shore excursions, airfare, or gratuities. Shore excursions are priced per person and can be purchased up until the beginning of the cruise or until full. Passports: Passports are highly recommended, but not required, for this cruise. Passports can take up to 8 weeks to arrive so please plan ahead. If you don’t have a passport, a certified birth certificate and a government issued photo ID will be required. Space will fill up quickly so book soon!